When I first began looking into products to treat my dry, scaly feet, I discovered Freeman Beauty. Not only were the 3 or 4 products that I used effective, they were also very affordable. This is one of the only brands I have had strong loyalty to over the years. I’ve finally tried everything from the blogger kit I received, and I loved everything! The purpose of this facial mask is to get all of the dirt and oils out of your pores. Simply apply the mask to your face and neck, let it harden, and then rinse it away with warm water. 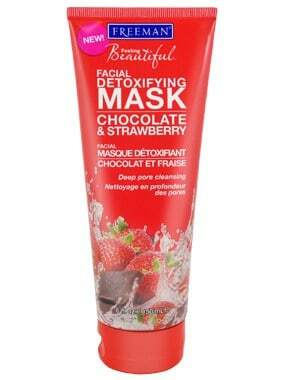 This was the first mask that I tried, and I loved the cooling and tingling sensations. It only takes a few minutes for it to harden, which is perfect for those special occasions when you want to look your very best and are crunched for time. Your skin will feel really tight as the facial clay mask hardens, but you will love the results! The purpose of this facial mask is to get all of the impurities off of your skin. Since I have a lot of dead, flaky skin on my face this winter, the mask pulled it right off. 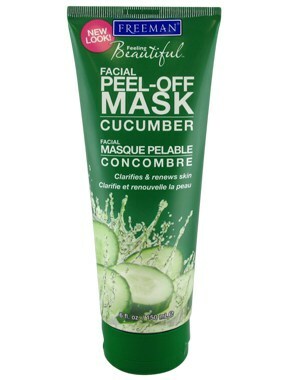 Just like the Avocado and Oatmeal mask, it had cooling and tingling sensations. Instead of rinsing it off, you pull it gently off of your skin. This mask requires a few more minutes of your time; leave it on for 5-10 minutes, or until it hardens. The results were wonderful; no more dead skin remained on my face, and my skin felt baby soft. Out of the 3 masks, I would have to say this is my favorite. It seemed more clay-like than the previous two, and it smells delicious enough to eat. It works to nourish and moisturize your skin, as well as to reduce the appearance of larger pores. This one also only requires a few minutes; once it hardens, you can rinse it all off with warm water. I really love how thoughtful this whole kit was! The wash cloth and the shower cap were very useful; since my hair hangs in my face, I appreciated the shower cap especially since I didn’t already own one. It kept my hair from getting stuck in the clay masks. I will definitely be able to make good use out of the travel bag/organizer for all of my beauty products. Freeman Beauty products can be purchased directly from their website, or you can find them at stores like Target and Wal-mart. My very first Freeman Beauty purchases were actually at Wal-mart! Their website also showcases their skin care and hair care products. I’m always looking for a good shampoo and conditioner set, and will definitely try theirs out. 1 Simply Stacie reader will receive their own kit from Freeman Beauty containing all of the products mentioned above. The giveaway is open to US and Canada only. Check out the list of all my current giveaways! Jen currently lives in Utah with her family, and enjoys reading and writing in her spare time. She is active on popular book websites including paperbackswap.com, Goodreads.com, and luxuryreading.com. I want to try their Mint & Lemon Facial Clay Mask! I would love to try the bare foot softening foot lotion in peppermint and plum! 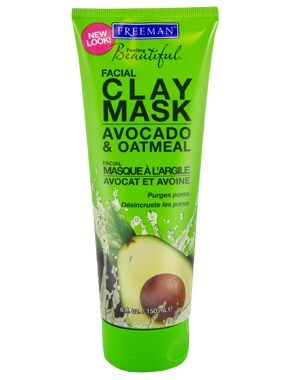 I would like to try the Avocado & Oatmeal Facial Clay Mask. Thanks! I would love to try, Goodstuff Organics, Antioxidant Facial Moisturizer. i would love to try the peel off face mask! The papaya 3 min conditioner although the skin care products look good too. I would love to try the Papaya and Lime Shine Shampoo! I would like to try the Tangerine & Basil Hand & Cuticle Renewal Scrub. I would like to try the Pink Grapefruit Facial Exfoliating Scrub. Avocado & Oatmeal Facial Clay Mask.